Ah, shopping. We love it and we hate it. As Teen Vogue‘s online fashion editor, I’ve been around the retail block more than a few times, but you know what? Even I think shopping is hard. 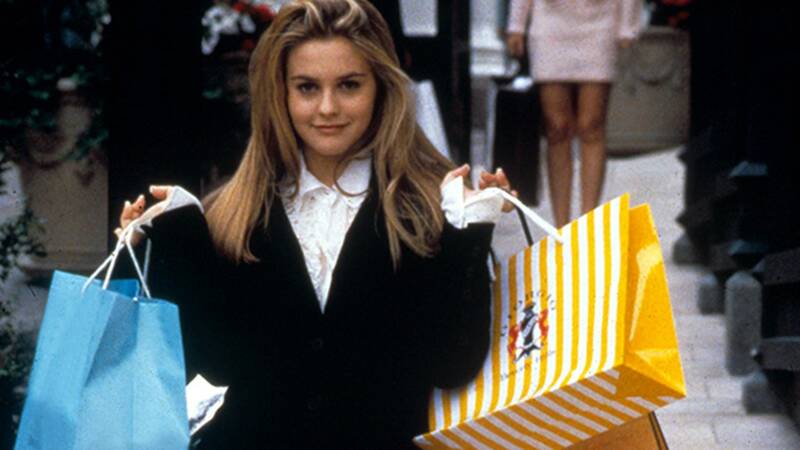 (We can’t all be as naturally gifted as Cher Horowitz, try as we might.) So in an effort to put all my practice to good use—and hopefully lessen the number of terror-filled days you spend at the mall this season—I’ve compiled a couple of tips to live by. Check ’em out below, and if you still have unanswered questions, speak up in the comments—I’ll be sure to get right back! 1. Don’t wait to go shopping until you have to. I have found this “rule” to be the absolute most important…and also the hardest to follow. We’ve all fallen down the slippery slope of a less-than-kept-up wardrobe and have gotten to the point where suddenly we need a new version of everything: black pumps, black pants, jeans with a flawless fit, a classic bootie, a blouse, a blazer, and so on. Or maybe you have a family wedding this weekend and need to score that perfect modest-but-cool-but-also-elegant dress in two days. Whatever the case, if you’re looking for something specific, chances are, you’re not going to find it. It’s just the way the universe works. The key is to shop often and not in bulk, so when you happen to stumble across a denim vest that you can literally wear with everything in your closet, you buy it…even if that wasn’t what you had in mind for the day. Eventually, you’ll find that you’ve scooped up a very balanced wardrobe over time. Slow and steady wins the race—that’s what they say, right? 2. Buy what you love, not what you think you need. While I do believe that there’s something to be said for staples like black pants or flat sandals or a white button-down, I don’t believe in buying something just because you think you’re supposed to. The truth is a wardrobe can survive (and thrive) without a pair of plain black pumps or a tailored blazer. If plain black pumps and tailored blazers don’t make you happy and excited, you shouldn’t buy them…or wear them. Whenever you find yourself in the dressing room grappling with the should-I-or-shouldn’t-I conundrum, just ask yourself one question: Do I love this? It sounds simple, but I swear it works every time! You’ll be surprised how all the things you love can work together and complement each other without the help of a snoozy white V-neck. 2. Picture it. When you’re deciding whether to buy something, you should always try to picture it in your wardrobe. Some people say you should be able to think of at least three items you can pair it with in order to make it worth it, but I say as long as you can think of one, you’re all set. Here’s why: If you’ve already got Tip #2 down, then you love it, and that’s the most important thing. From there, you really just need one thing to wear it with and you’re good to go. This will encourage you to shop outside of your comfort zone, and chances are, you’ll start finding more things that will go with that new piece. Styles evolve—don’t hold yourself back by choosing the same things over and over again. 4. Dress for (shopping) success. Trust me, if there’s anyone who’d much rather shop in her sweats with no makeup on, it’s me. But it’s just not a good idea. Think about it this way: If you’re trying on a pretty date-worthy dress over a sports bra with a nest of unwashed hair on your head and a shiny T-zone, you’re sort of setting yourself up for failure. That’s when you get yourself into “nothing looks good on me” territory, which we all know is never fun. This is not to say you should pile on layers of makeup or deck yourself out in a bodycon dress and platform heels for your trip to the mall—your daily beauty routine and a chic, easy-on, easy-off outfit (a T-shirt dress and Nikes) will do just fine. 5. Try. It. On. Obviously you’ve heard it before. But it’s true! You really don’t know how something is going to look on you until you try it on…for better or worse. Sometimes a piece is stunning on the hanger but just doesn’t look right on your frame and sometimes it’s the other way around. It’s also important to try on a variety of silhouettes (midi skirts, high-waisted trousers, boxy tees, crop tops, shift dresses, etc. ), so you have an idea of which styles tend to work best for your body. This’ll help when you’re shopping online, too.